Dumped, Drunk and Dalish: The Parallel and Paradox of "In Hushed Whispers"
In an unimaginable awakening to a hellish future, sometimes the best solution is simply to end it all and start over. 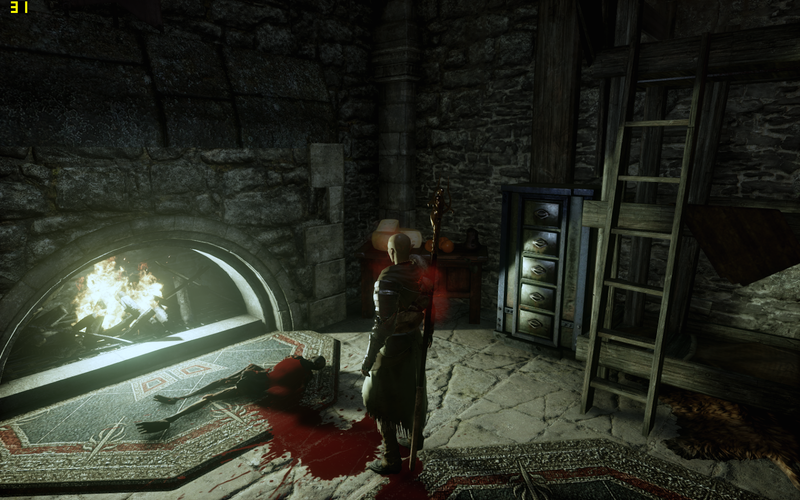 This approach may ennoble the Inquisitor, but it villainizes Solas—and asks us to consider some interesting questions. SOLAS: This world is an abomination. It must never come to pass. It's a daunting scenario for a hero. You're the leader of your people. You're courageous and willing to risk your own life, to walk into a trap, to confront a tyrant that you know wants to kill you and everyone you care about. Who's willing to end the world if they can't rule it. You show up, everything goes wrong, and the next thing you know, you're in a nightmare world. Everything you tried to do is destroyed. Reality is unimaginably grim, a hellscape. You're faced with only one potential solution: End this reality. Kill this nightmare so this world never comes to pass. You're saddened at the idea of ending this world, watching your companions die... but accept that it must be done. It's an interesting situation. Especially since I'm not describing the Inquisitor's situation. The Inquisitor's situation is treated from beginning to end as a regrettable, straightforwardly tragic situation in which there is only one workable outcome: annihilation of this world and future. I've talked about this before in my post on "Solas and the Waking Nightmare," but I've always felt that "In Hushed Whispers," one of the most pivotal questlines in Dragon Age: Inquisition, offered deliberate parallels between the scenario facing the Inquisitor and the one facing Solas upon his awakening before the game story began. What's interesting here is that the Inquisitor's situation is treated from beginning to end as a regrettable, straightforwardly tragic situation in which there is only one workable outcome: This corrupted world in which she finds herself must be destroyed (note: as always, I'm referring to my Inky by the gender of my canon character). There's no judgment for this decision the Inquisitor makes. Her companions immediately back her up on it without hesitation. They are, all of them, instantly willing to sacrifice their lives. There is no apparent moral conundrum regarding the Inquisitor's decision at all. Regardless, in light of the new #TheDreadWolfRises Dragon Age 4 teaser with its red lyrium elements and with that sad, exhausted-sounding Solas at the end, there's never been a better time to go back and reexamine "In Hushed Whispers" to see what other secrets may lie hidden there. There are many parallels between Solas's stories of the Evanuris and the Chantry's creation myth, and those parallels are genuinely shiver-inducing. Especially if you actually read them in a whisper-voice. "In Hushed Whispers" was written by Mary Kirby, and I loved finding out that she listened to Gershwin while writing it (Rhapsody in Blue? Porgy and Bess? Or the timeless song standards?). Kirby's writing meshes with the deft talents of the other character writers—in this playthrough for me, those would have included two of my favorite regular callouts—Patrick Weekes (Solas and Iron Bull) and David Gaider (Dorian). Kirby is also credited with writing the majority of the Chant of Light (a superb and daunting work on its own within the Dragon Age universe I'll be exploring further), and I think there's a lot of hidden meaning to the fact that this quest's title comes from the key events of the Canticle of Threnodies within. Turned our devotion upon them, and forgot you. The Canticle of Threnodies goes on to outline the Maker's creation of the world, his children his 'people' who appeared to be spirits (and, perhaps, elves? ), the Golden City, and his growing dissatisfaction with his firstborns, despite the fact that they basically just stood around and sang his praises. The Maker, unhappy with the 'formlessness' of the Fade and the world of the spirits, erects the Veil in one vast and metaphysical shake-up. It's fun to imagine Solas's face when he heard these words for the first time. I have to think he would have smiled, even if there was probably little humor in it. Meanwhile, at this point in the Canticle, the Maker seals himself off in the Golden City, waiting to see what his fabulous new kids will create. And it's only here that the Maker's firstborn children, understandably a bit peevish over current events, take action, deciding to take power over the world from which they were unceremoniously removed—and the Maker casts them down, imprisoning them "in tombs of immutable rock" for all time. Now, beyond the twisted parallels we can see between Solas's stories of the Evanuris and the Chantry's creation myth, there's also the fascinating final stanza that describes the insidious revenge of those cast-down demons and spirits, the would-be gods, who gave their worshippers, "in hushed whispers, the secrets of darkest magic." I mean, that's genuinely shiver-inducing. Not to mention a perfect echo of what our Inquisitor encounters when Alexius catapults them into an unthinkable future. For me, one of the best things about "In Hushed Whispers" (or IHW for short) is how seamlessly it structures our introduction to new companion Dorian, so that he instantly feels like a friend and supporter. When we find ourselves in the gloomy nightmare future of Redcliffe Castle, the first thing Dorian does is reassure us that he will protect us if danger looms, and I'm sure I was one of many thousands who instantly melted a little at the gallantry. It's a terrific introduction to Dorian, who is instantly a lot of fun—arrogant and slightly pompous, but also charming, funny, and kind. The storyline of the quest provides a scenario that gives us a tremendous amount of information on Dorian and his relationships with Alexius and Felix in a very natural and unforced way. It's also a situation that spotlights Dorian's keen intelligence and curiosity -- yes, he's famously, ridiculously, handsome, but Dorian's also a really smart guy, and his intense curiosity and joy in puzzle-solving are on full display. Dorian is an interesting companion choice here, because he's both involved emotionally, and also detached on some levels too. He's not in this for our friends, he's there because he cares about our antagonist (Alexius) even if he's now his greatest foe. Throughout the quest, Dorian repeatedly talks about his concern for Alexius even as we're facing the hellish aftermath of this reality and the devastating outcomes for much-loved companions and advisors. Dorian can be tone-deaf about the situation, to say the least. For instance, perhaps his worst moment is (later on) when he attempts to quiz Leliana about the fate of his beloved friend Felix only moments after we rescue Leliana from a full year of pain, torture, abuse and loss. You get the sense that her pain, or the pain of the situation doesn't quite touch him the way it touches the Inquisitor, and that it does so differently—he's grieving Alexius and Felix even while we're grieving our companions and friends. He's going, "I can't believe he'd do this," while we're going, "Oh my God, everything I loved is gone and my friends are dying." Dorian is a fascinating companion for this quest, and it manages to spotlight his intelligence, dedication, charm—as well as his pragmatism. One of the most effective and moving moments in the quest occurs when we go into the dungeons and discover our long-lost companions. The introductions to these alternate-future companions are both darkly funny (Bull's resignedly singing the folk song "99 Bottles of Beer" to himself, and it feels like maybe he's lost count more than a few times...) and terribly sad (poor Sera, reciting "Where Willows Wail" brokenly to herself (yes, I think this is a HUGE detail), is terrified to see us, then poignantly talks about running out of arrows the day she was captured). Blackwall, like Sera, is terrified at our return from death, while Cassandra (reciting the "Chant of Light" alone to herself) sees it as a source of comfort, as divine resurrection. Meanwhile Vivienne, true to form, doesn't trust for a moment. She is all too aware of the deviousness of men and demons, and so she properly does not believe in us at first, and simply assumes we're yet another attempt by her jailers to trick or tempt her. 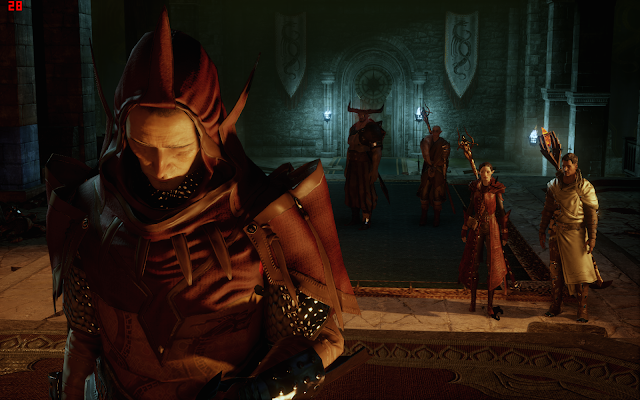 Watching Vivienne in this scene, I instantly felt like I was getting a glimpse of her Harrowing, where surely she just as easily waved away any incipient demons with an elegant dismissal (as Solas once noted, surely any Pride Demon she met would have given up instantly upon meeting her). Vivienne joins the Inquisitor and Dorian with her usual hint of steel—she doubts they'll succeed, "But I would like to hurt something very badly right now," she says quietly, and surely somewhere even Corypants shivered just a little. It's probably my favorite moment for Viv ever: she knows she's dying, she's a lady, but dammit... she will have her due. This quest is unquestionably one of the grimmest to occur in Dragon Age: Inquisition, but it holds many riches if we're willing to look past the darkness. Given what we later discover about his own goals and secrets, Solas's reaction is perhaps most interesting of all. We hear his voice as we enter the prison: "Is someone there?" 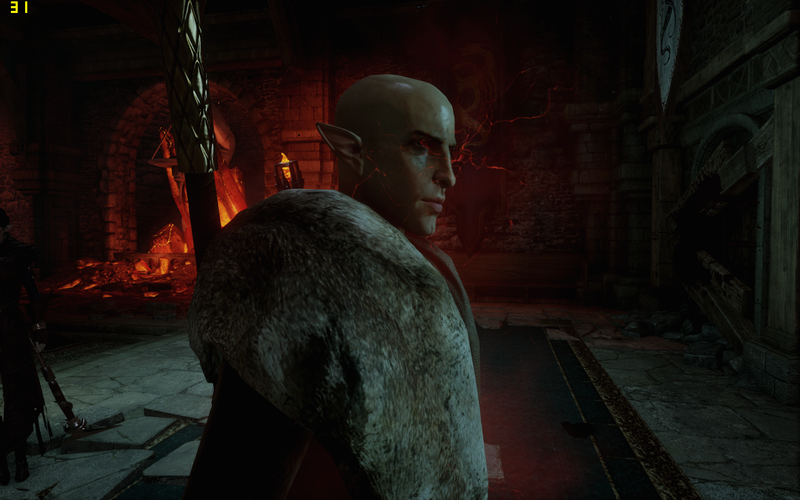 The Inquisitor approaches with Dorian (and potentially the other party member), finding Solas, who is emanating red lyrium like the other corrupted companions, his eyes glowing red, and with that oddly deep, doubled "red lyrium voice," as if we are hearing a deeper resonance or echo beneath it. And yes, it certainly sounds familiar—an awful lot like the choked, exhausted voice of Solas at the end of the new "The Dread Wolf Rises" trailer. 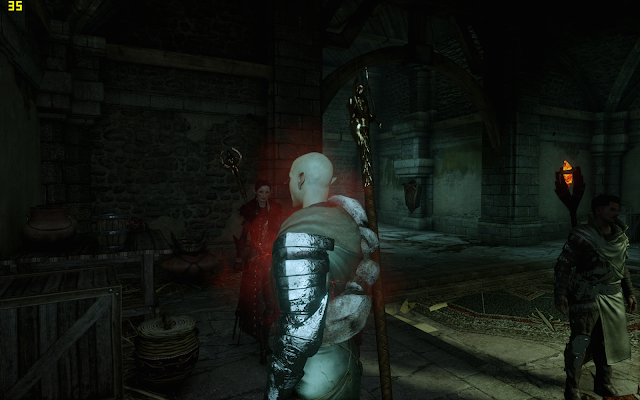 Solas is visibly stunned as we enter. He actually reels backward. SOLAS: You're alive? We saw you die! DORIAN: The spell Alexius cast displaced us in time. We just got here, so to speak. SOLAS: Can you reverse the process? You could return and obviate the events of the last year. It may not be too late. Out of all the companions we encounter in this future, it's Solas who instantly grasps what's happening, and who instantly posits the solution. Of course he does. He's been here before, after all, when he awakened the year before the Conclave exploded. And he came to the very same conclusion then. INQUISITOR: You look... bad. Is there anything I can do to help? SOLAS: I am dying, but no matter. If you can undo this, they can all be saved. But you know nothing of this world. It is far worse than you understand. Alexius served a master: The Elder One. He reigns now, unchallenged. His minions assassinated Empress Celene, and used the chaos to invade the South. This Elder One commands an army of demons. After you stop Alexius, you must be prepared. INQUISITOR: We can't do this without you. SOLAS: If there is any hope, any way to save them... my life is yours. The fact that Solas doesn't hesitate to offer his life is, for me, surprisingly emotional. Solas may be hiding his own secrets, but he puts his money where his mouth is—he's just as willing to die for a better world as he is to (potentially) kill for one. INQUISITOR: I’m glad you understood what he just said because I’m not sure I did. SOLAS: You would think such understanding would stop me from making such terrible mistakes. You would be wrong. But you know nothing of this world. It is far worse than you understand. INQUISITOR: You are just brimming with good news, aren't you? SOLAS: If you can return to your present, you might find it helpful to know what the Elder One plans. What's notable here is that Solas admits to his "terrible" mistakes. The third option, meanwhile, isn't really much different (he simply reminds us to "remember this future. It may help you prevent it"). This world is an abomination. It must never come to pass. I... think Solas may have spoken those words before. Out of all the companions we encounter in this future, it's Solas who instantly grasps what's happening, and who instantly posits the solution. Of course he does. He's been here before, after all. As we run through the quest, encountering tragic echoes of other characters from our time in Redcliffe, from an imprisoned, apparently mad Lysas, to a dying Fiona (now grotesquely half-lyrium, who tells us about Leliana and gives us the year as 9:42 Dragon), to a Connor who, if present, self-immolates as we enter the room to avoid abomination. We may also encounter the arrogant mage from the tavern, Linnea, sacrificing a fellow mage despite his pleas to spare his life. The most notable reference by Solas as we wrap up our quest for red lyrium shards to access Alexius's private quarters is when he notes, as we traverse a courtyard, "The Veil is shattered. There is no boundary now between the world and the Fade." Now, I have questions, here: Is a "shattered" Veil different from a Veil that has been removed, torn down? Because that's a key, crucial detail. Is this, then, a glimpse of a world without a Veil? I'd argue that the answer is no. What Solas wants to do in "Trespasser" is to enter the Fade (using the Mark), tear down the Veil, and in the raw chaos, restore the world of the ancient elves using his magic. As you know, I do not think he'll do this, but... is this a glimpse of that raw chaos? I'm divided on that. Solas seems so horrified at the state of the world, there are rifts spawning everywhere; he's never even once remotely or secretly empowered or exhilarated by what he witnesses. So to me that seems to imply that a "shattered" Veil isn't the same world state as an absent one (I'm guessing, for one thing, that the shattered aspect would cause even more rifts and demonic upheavals, which certainly looks like what faces us here). Then we find Leliana, and she is absolutely magnificent here. She's come a long way from the sweet young bard we met in Origins, who was inspired by a flowering rose to serve the Maker's will. Here, in this hellish future, despite a year of constant torture, she is a woman made of steel, her belief in the Maker and in a better afterlife sustaining her through unthinkable torment. When we find her, a Venatori captor runs his hand along a tray of torture instruments, telling a Leliana hanging in chains, "You will break," to which she quietly responds, "I will die first." Then the Inquisitor enters, and Leliana instantly uses the distraction to break the torturer's neck with her legs. Then she gets right down to brass tacks, brushing away any attempts by the Inquisitor to assuage or comfort her. "You need to end this," she says, then begins to gather weapons. DORIAN: You... aren't curious how we got here? Dorian begins to explain anyway, with the Inquisitor chiming in with several potential responses on how they'll save her, or this isn't real, et cetera. LELIANA: Enough. This is all pretend to you. Some future you hope will never exist. I suffered. The whole world suffered. It was real. I think this is so important, and Leliana really gives us the gravitas that this entire interlude requires—the knowledge that people really did suffer unimaginably. People we cared about. Where's Josie? Where's Cullen? Where are our other companions? It's pretty obvious they didn't survive. It's worth pointing out that during this quest, we find several important notes or diaries, most notably Alexius's Journal, which notes that despite "countless" time resets (remember what I said about Fiona having no choice in what she did? ), he cannot skip back to any time before the Breach. We also find a horrifying "Studies on the Blight," which dryly and dispassionately outlines Leliana's terrible torture over the past year, as well as her mystifying immunity to the Blight itself. Dorian, meanwhile, pauses now and then to admit to the Inquisitor that this situation is painful for him from a different perspective. He once idolized and loved Alexius like a mentor, a second father, and (I believe) with a hint perhaps of romantic love. His respect for Alexius and love for Felix don't exactly cause him to excuse Alexius's behavior, but he continues to express disbelief that he would go this far ("Once he was a man to whom I compared all others"), and to hope that the Inquisition will be merciful. Leliana has no room for mercy. When Dorian asks her if she knows what happened to Felix, there is a quiet yet utterly understandable cruelty in her response: "Yes." She will elaborate no further. She won't give him solace. She has no kindness left within her. Then we confront Alexius, and Leliana confronts him on his monstrosity over the past year, coolly cutting the throat of Felix (now a zombie from the progression of the Blight, and foreshadowing a later, similar situation) without even the pretense that there will be a bargain here with her. All she wants now is vengeance. We take out Alexius (and it's a pretty fun boss battle, with lots of magic and rift-closing), then it's time to use the amulet. Dorian, predictably, is confident and almost casual. "Give me an hour to work out the spell he used, and I should be able to reopen the rift." Leliana is openly contemptuous. "An hour! That's impossible! You must go now!" The earth shakes, and she and Solas both echo the same thought—the Elder One approaches, and we cannot stay. Then there's a quiet look between the two remaining companions, whoever we bring, and then a nod, as they wordlessly agree to die for us. Right in this moment, and it always kills me. It's just beautifully rendered by the artists and animators here (as is this entire quest; the sparking red lyrium is beautiful and grotesque all at once). SOLAS: We'll hold the outer door. When they get past us, it will be your turn. LELIANA: Look at us. We're already dead. The only way we live is if this day never comes. They go through the door, resolute and ready to die, and we watch as it closes behind them. LELIANA: Cast your spell. You have as much time as I have arrows. Dorian begins the cast as Leliana readies her bow. The doors crash open as she smoothly shoots the darkspawn and demons that enter. As she fights, she recites the Chant, and we see, once and for all, how deeply Leliana's belief sustains her. It is a tragic but deeply triumphant moment. Leliana, ravaged, hollow-eyed, and prematurely aged by her tortures, is nevertheless luminous here, glowing against the darkness, and the framing and direction by director Mike Laidlaw and Cinematic Director Pierre Michel-Estival is just stunning, as is the vocal performance by voice actress Corrine Kempa. Trevor Morris's driving score soars, and the moment is rich, cinematic, and absolutely devastating. 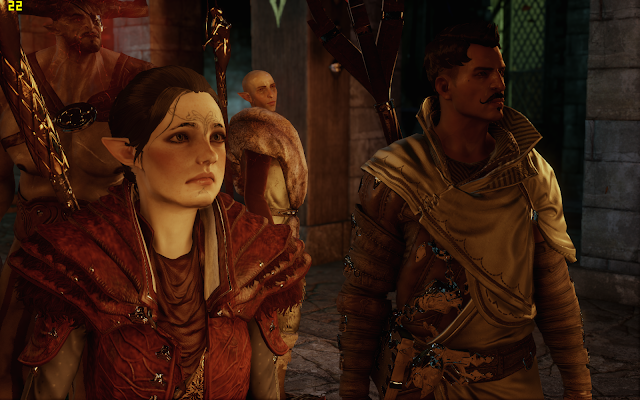 For me, it remains a hallmark moment across DAI (and all the games) for emotion and terrible beauty. 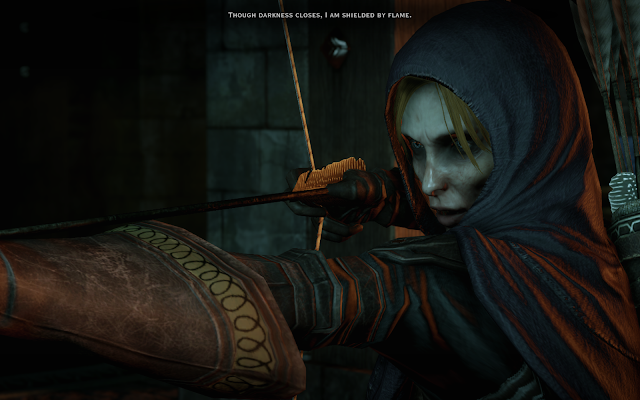 LELIANA: Though darkness closes, I am shielded by flame. 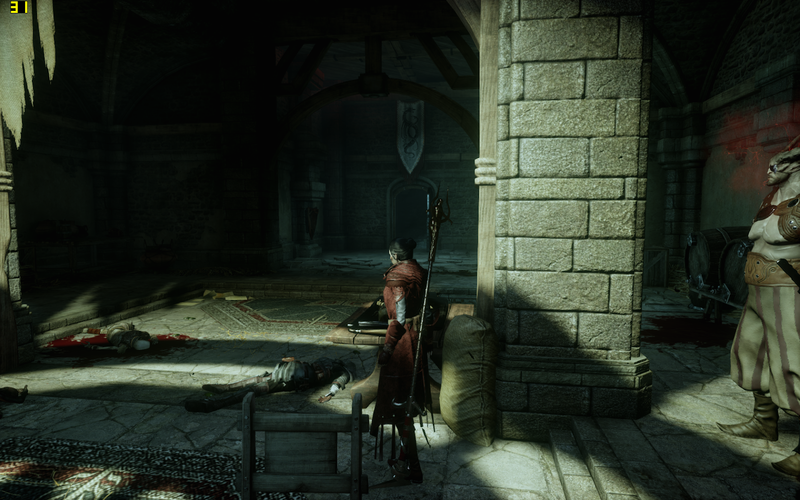 The next moment, you'll see one of your companions die, as their dead body is thrown casually through the door (for me it was Bull this time, but in other playthroughs it was Solas, Varric, Cassandra, etc.). LELIANA: Andraste guide me. Maker, take me to your side. She is out of arrows. She begins to fight hand to hand, clearly doomed, yet still she takes out, one, two, three, four antagonists. She keeps fighting. More keep coming. She begins to use her bow as a blunt instrument, leaping over her attackers. She is clearly doomed. The Inquisitor may try to approach her, but Dorian stops her, as they must go now, to prevent this future from taking place. The last thing we see, as the Inquisitor unwillingly leaps with Dorian into the window to the corrected past, is Leliana's face as she is captured and a darkspawn holds her by the throat. She is calm. Her eyes widen as death approaches. Then we are, thankfully, spared the image of her actual death, then Dorian and the Inquisitor take the leap and we fade to black. But... not quite. Because we were there. We saw it all. Never test Leliana on the depths of her belief. Even in this horrific future, ravaged, hollow-eyed, and prematurely aged by her tortures, she is steadfast and luminous, willing to die for a better world. The conversations after this interlude, with present-day Leliana and whoever we brought on the mission, are fascinating. I love Leliana's reaction, because when we tell her "I saw you die, you sacrificed yourself for me," she simply shrugs and answers, "Of course." It's an echo back to the badass we just watched—we're reminded with zero doubt that if Leliana needs to give her life for the Inquisition, she will do so, and without hesitation. And if we talk to Solas, it's interesting for an entirely different set of reasons, knowing why he's really here and what he wants to do. And if you know who he is and what he wants, there's so much to explore and consider there. I have to think the parallels are deliberate, right? How can they not be? When we talk to Solas directly after, at first he's typically excited on a scientific level (it reminded me very much of Dorian here), wondering how sure we are that we visited an actual alternative future. Then he is visibly exhilarated, almost inspired, when we reaffirm that it was a trip to an alternate future. "What an amazing gift," he says. "It is vital the Inquisition succeed, to avoid the future you witnessed." Then he doubles down on this, telling the Inquisitor to remember this moment, if they ever feel hesitant about the necessity of the Inquisition’s actions. We don't know it, but we just reinforced his agenda, the righteousness of his belief. Depending on how "elfy" you are, and whether you think his plans will ever come to pass, this will either comfort you or terrify you. Or both. Either way, the alternate future is done. Taken care of. That world was an abomination. And now it will never come to pass. NOTE: Apologies on the un-edited screenshots. I just don't have time right now to crop them all, so I appreciate your patience. I do plan on fixing them all, here and throughout the blog, at some point soon. I agree that there are a lot of parallels between Solas and the Inquisitor in this quest. I've seen, sometimes, people saying that's why the Inquisitor has no moral high ground over Solas at the end of Trespasser, and that's where I have to disagree. The future people in In Hushed Whispers find the world as much of an abomination as Dorian and the Inquisitor do. Our lyrium-infected companions WANT us to make it so that world never happens. With the exception of whichever elves answer Solas' call, I think most of the people from Solas' future abominable world would not support his desire to reverse past events. The Inquisitor got approval and support to wipe out the shattered Veil future, but Solas does not have approval and support from the people whose lived experience he wants to wipe out. So, I think the Inquisitor does likely have a morally superior position in In Hushed Whispers than Solas does in Trespasser, and presumably, in the next Dragon Age game. Oh, I absolutely agree; I'm not saying the goals of the two are the same. My main focus here was that the two of them are facing what feels to them like similar scenarios. The tragedy of Solas is that he is NOT in the same situation. But it feels the same to him, because he is so absolutely unwilling to look away, to let go of the fact that he can't fix it. I get it -- he tried to save his people and instead destroyed it at its very highest heights, diminished and cursed the people he'd tried to save to death and enslavement, and now there is so little left that the few remaining elves can't even tell remotely accurate stories about the ancient days in which he lived. I agree that the Inquisitor in "In Hushed Whispers" is in a morally superior position. But I think that quest exists in a way to present to us what it may very well feel like to be Solas, if that makes sense. I don't support Solas tearing down the Veil, and suspect most won't. But I also don't think he'll do it. I know I probably sound nuts (especially given the new teaser). But I still think -- if anything -- Solas will be the person to come to his senses, and save the Veil, not doom it. But we'll see! I also think another good thing that will come of all this is that Solas's "call" to the elves will result in the elves -- for once since the very oldest days -- becoming a significant world power again -- one that can tilt the balance, for instance, between Ferelden and Tevinter. Or against the Qunari. And if that happens, Solas will have saved the elves... just not in a way he had expected. What Solas wants to do is 10000% doomed. It won't happen. The entire lesson of his character is that the past is gone and at some point he'll have to accept that. But the fact that he won't is both tragic and fascinating. Outstandig work!Your site is my fovourite place to read for dragon age related things! Thank you so much! That's wonderful to hear -- I hope you'll keep reading, and sharing your thoughts! Whilst I don't always agree with your interpretations, your posts are always fascinating, thought-provoking and give me an excuse to reread lore or, even better, play the game to justify my disagreement. Though I hope he is stopped I'm sympathetic to Solas' goals. He is after all trying to restore the world to it's natural state. His "crime" surely was the original creation of the veil. Does his goal not seem to you to be ultimately self-defeating? Not only will various power mad eleven nasties be released, but restoring magic and immortality to all elves will surely perpetuate all the original problems of elvehnan. 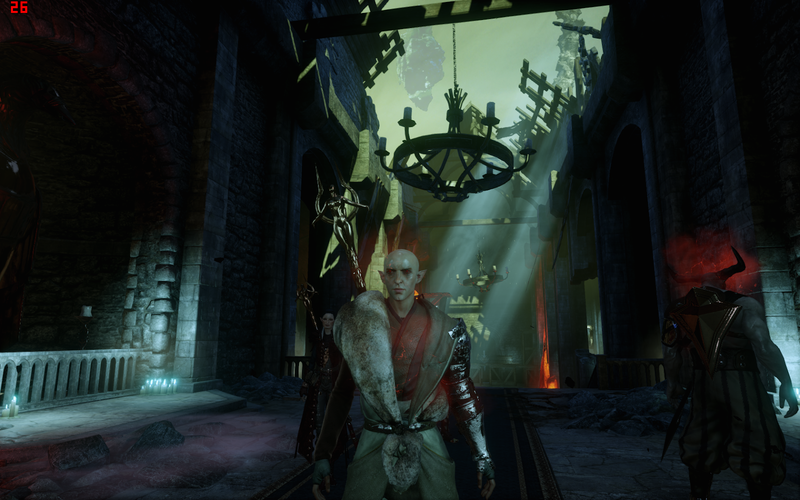 Elves like Sera or your own Inky will become immortals in conflict with Solas and the other "gods." Ultimately, is hushed whispers a nightmare Solas will be doomed to repeat no matter what he does?